provides a wide variety of services to our clients. We are a full-service Construction Manager, Design-Builder, and General Contractor. With over 150 combined years of quality construction experience, our team provides fiscally conservative proficiency in estimation, exceptionally specialized mechanical systems experts, as well as thorough and comprehensive system analysis, value-engineering, and design. Founded In 1975Highest quality work and materials at valued pricing! 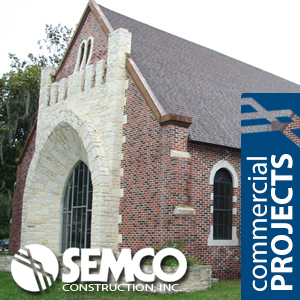 SEMCO Construction, Inc. is located in Bartow, the county seat of Polk County, Florida. We have completed numerous projects in Polk, Hardee, Highlands, Hillsborough, Pinellas, Osceola, and Orange Counties. SEMCO's successful projects can also be seen from the Panhandle to the tip of the Peninsula, Our central Florida location allows us to easily travel all over the state. 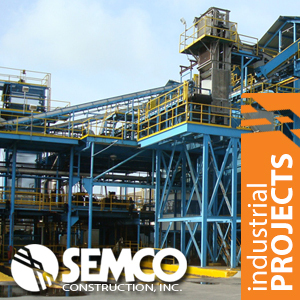 SEMCO has completed many large projects over the years yielding a vast amount of experience. However, we are not so large that projects are assigned to a manager several steps down the organizational chart. We are a local company and our founder, Carl Locke, Sr., and our President, Ed Locke, are directly involved in the successful completion of all projects. 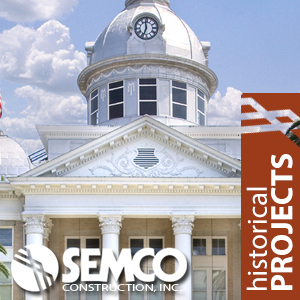 Through diversification involving key areas of Commercial, Public, Industrial (phosphate and citrus), Historic Restoration, Design/Build, and Construction Management, coupled with established long-term management, SEMCO has remained competitive in all economic situations. Our solid construction experience has given us opportunities to develop great relationships with over 300 subcontractors and 450 suppliers who provide quality work and material encompassing all phases of construction. Our highly trained managers, staff, crews, and subcontractors work together to bring all projects to completion on time and within budget. 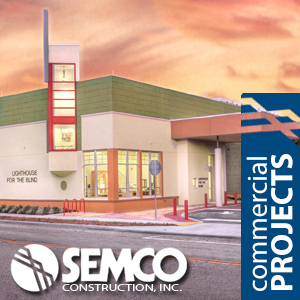 Through the years, SEMCO has constructed numerous large and small buildings designed to fit specific needs for office, manufacturing and warehouse space. 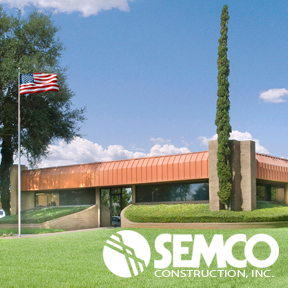 SEMCO Construction, Inc. was founded in January of 1975 by Carl E. Locke, Sr. The company is a State of Florida Certified General Contractor and a State of Florida Certified Roofing Contractor. Our current aggregate bonding capacity is $17 million. We have completed over 7,000 projects in both the private and public sectors in our 36 year history and maintain approximately 75 full and part-time employees. Carl E. Locke, Sr. is a State of Florida Licensed General Contractor (CGC009876). 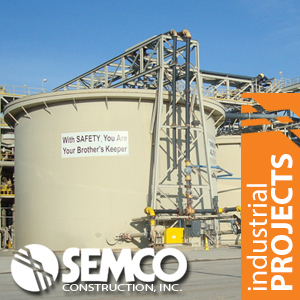 SEMCO Construction, Inc. is an Equal Opportunity Employer and a Drug-Free Workplace. We offer our employees a competitive benefits package,including medical, dental, and ancillary insurance,a 401(k) plan, and paid holidays and vacations.We encourage those interested in employment for skilled labor, estimating, supervision, or administrative positions to download the Application Form and submit, in person, to our office. 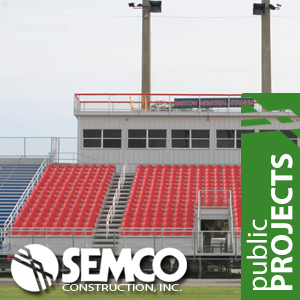 As a privately held, locally, and family-owned construction firm, SEMCO has been serving Polk County and Central Florida in the Commercial, Industrial and Institutional markets over the past 36 years completing over 7,000 major projects. SEMCO brings to every project a highly qualified, significantly experienced, well trained, and exceptional team of construction professionals.